Aerohive is an innovative enterprise mobility company. Aerohive’s solutions enable enterprises to leverage the power of mobility to increase productivity, engage customers and grow their business. Aerohive’s proprietary mobility platform utilizes the cloud and a distributed, controller-less architecture to deliver unified, intelligent, simplified networks that can be cost-effectively deployed. The scalability and flexibility of Aerohive’s platform makes enterprise mobility available to organizations regardless of their level of IT resources and enables a consistent network architecture to be deployed across enterprises of all sizes. AlienVault® Unified Security Management™ (USM™) Unified Security Management™ (USM™) is AlienVault’s comprehensive approach to security monitoring, delivered in a unified platform. Unified Security Management includes multiple and essential security capabilities that provide resource-constrained organizations with all the security essentials needed for effective threat detection, incident response, and compliance, in a single pane of glass. Designed to monitor cloud and on-premises environments, AlienVault Unified Security Management significantly reduces complexity and deployment time so that you can go from installation to first insight in minutes. 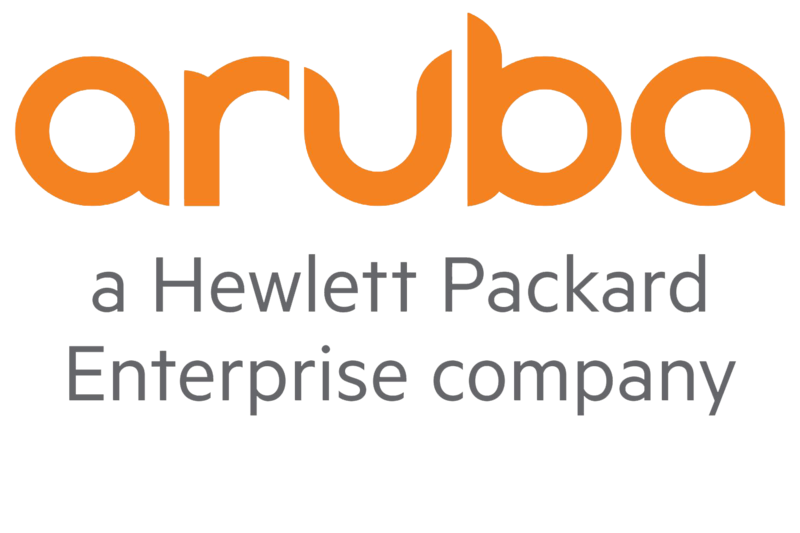 Aruba Networks unifies all things mobility – access management, the network infrastructure and mobility applications – into one cohesive solution that strengthens security and simplifies bring-your-own-device initiatives. Our solutions leverage a programmable infrastructure so they adapt easily to the dynamics of mobility. This enables IT to manage traffic flows on any wired, wireless and remote network and control how devices and work apps are used – without changing or upgrading your existing network. Whether away or at work, Aruba mobility solutions give users consistent, secure access to the appropriate corporate resources based on who they are, where they are and what device they’re using. The resulting solution is a rightsized network infrastructure that saves IT time, reduces capital and operating expenses, speeds-up service delivery, and provides every user with the highest-quality mobility experience. Cisco enables people to make powerful connections–whether in business, education, philanthropy, or creativity. Cisco hardware, software, and service offerings are used to create the Internet solutions that make networks possible–providing easy access to information anywhere, at any time. Datrium is the leader in Open Converged Infrastructure for private clouds. Datrium converges compute, primary and secondary storage, and archive to cloud for vastly simpler administration, performance and protection of private cloud infrastructure. The company is led by the founders and early top architects of Data Domain and VMware. Digital transformation is top of mind in today’s networking. IT practitioners seek a network provider to challenge the status quo and to collaborate on right-sized solutions on their terms. Extreme Networks builds open, software-driven solutions from the enterprise edge to the cloud that are agile, adaptive, and secure to enable digital transformation. Our 100% in-sourced services and support are #1 in the industry and even with 30,000 customers globally, including half of the Fortune 50, we remain nimble and responsive to ensure customer and partner success. We call this Customer-Driven Networking™. Fortinet is a global leader and innovator in Network Security. Fortinet’s mission is to deliver the most innovative, highest performing network security platform to secure and simplify your IT infrastructure. Fortinet is a provider of network security appliances and security subscription services for carriers, data centers, enterprises, distributed offices and MSSPs. Fortinet has a large, rapidly growing and highly satisfied customer base, including the majority of the Fortune Global 100, and they continue to set the pace in the Network Security market. For the large datacenter IT infrastructure, in enterprise, communication or service provider environment, OP5 Monitor is the monitoring solution of choice to take control over your IT because it enables automation of hybrid IT by being scalable, open and secure. 150,000 sysadmins – at organizations from small businesses through the Fortune 100 – have used OP5 Monitor to make their networks faster, more responsive, and more reliable. OP5 fits into any budget and can grow with your needs. It will be the last monitoring software you’ll ever buy. OP5 provides everything from a free license to tailored enterprise solutions. Open-E provides robust, stable, and cost effective Software Defined Storage. Open-E DSS offers features such as Active-Active Failover, ISCSI and NAS functionality, volume replication and snapshots. Open-E JovianDSS provides native compression and de-duplication with hybrid storage pools that leverage SSD’s and RAM. RingCentral, Inc. (NYSE: RNG) is a global provider of cloud enterprise unified communications and collaboration solutions. More flexible and cost-effective than legacy on-premise systems, RingCentral empowers today’s mobile and distributed workforces to be connected anywhere and on any device through voice, video, team messaging, collaboration, SMS, conferencing, online meetings, contact center, and fax. Ruckus provides secure and reliable access to Wi-Fi, and innovates across wireless and wired technology to meet industry-specific needs. We deliver #SimplyBetterConnections, so you can deliver awesome customer experiences. StorageCraft Technology Corporation is a premier backup and disaster recovery software company. StorageCraft focuses on providing best-in-class backup, disaster recovery, system migration and data protection solutions for virtual and physical environments. StorageCraft delivers software products that reduce downtime, improve security and stability for systems and data and lower the total cost of ownership for servers, desktops and laptops. Veeam is the leading virtualization backup technology for VMware vSphere and Microsoft Hyper-V. Veeam Availability Suite combines powerful backup and replication tools with monitoring to give system administrators the tools they need in a simple to use interface. VPLS also provides offsite data backup and replication services powered by Veeam software. Zerto is committed to helping organizations deliver on their brand promise to enable customers and end-users to always have access to the applications, data and services they need to do business. With Zerto Virtual Replication, part of the Zerto Cloud Continuity PlatformTM, enterprises can enhance their disaster recovery ‘insurance policy’ and embrace Resilience for Evolving ITTM. Zerto delivers seamless application mobility and portability, enabling organizations to leverage resources across public, private and hybrid clouds — adding to their confidence to withstand any disruption, incorporate new technology, and easily meet changing business priorities.